Peace of Mind – 2 year driveline warranty so that customers can focus on what they do best: business. Proven in the Field – Well accepted and proven aggregates ensure long life of the machine. Powerful and Reliable – The new inline FIP engine is not only rugged to withstand the demands of your business but is also easy to repair, ensuring your work never stops. Safety First – TH 86 Max series comes with an optional fire extinguisher. Powershift Transmission – Designed for long life. Enhanced drive comfort. Reduced cycle time and increased cabin space. Keeps You Moving – Rear ZF Multitrac Axle is designed for heavy dozing operations and long life. Cyclonic Pre-Cleaner – The zero maintenance Cyclonic Pre-Cleaner ensures your engine breathes clean air without a care. Excavator Banana Boom – For better reach behind walls of tippers and storage bins. Easy access to hydraulics on the arm. Lockable Differential – The lockable differential allows you to navigate through slush, gravel or any other surface. Reinforced Excavator Arm – Protection against damage while lifting rocks and boulders. 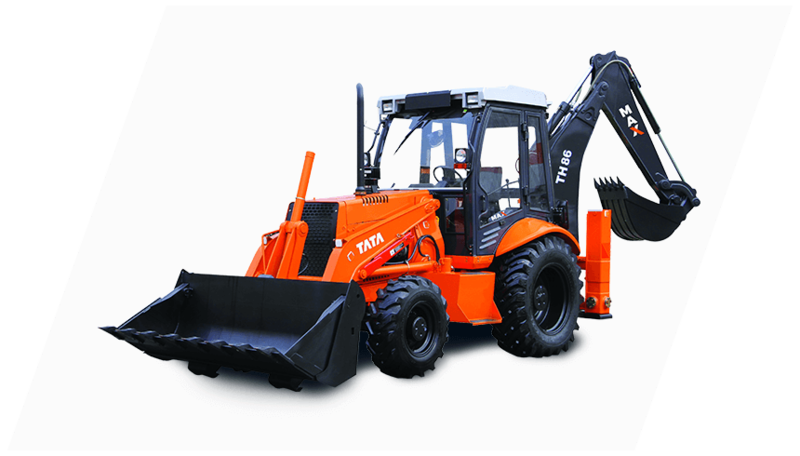 High Swing Speed – Swing movement forms a major portion of the backhoe operation. A high swing speed increases production and revenues. Maximize Storage – With added storage space under the right and left seat you have abundant space to store your essentials. Maximum Seating – The all new extended left seat and additional right seat allows you to take along the extra crew you may need. Suspension Seat – New suspension seat to ride smooth over all work surfaces. 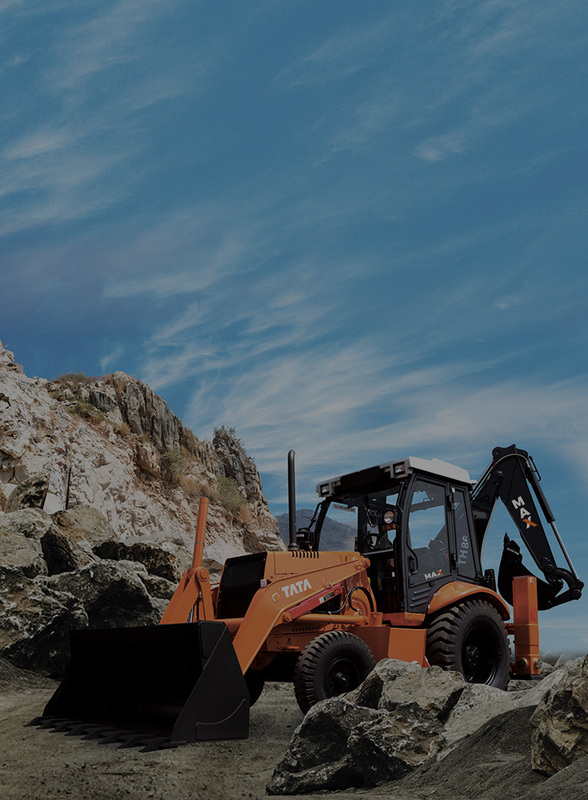 Switch Easy – With increased space and ergonomically designed cabin, there is even greater space to switch between loader and backhoe modes. Cool Cab Hat – Silver coloured sandwich hat cap for a cooler cabin in summers.